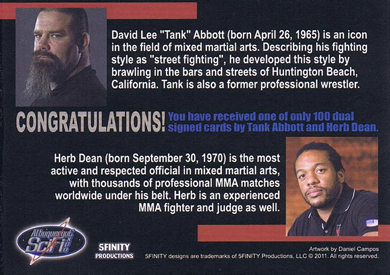 Tank Abbott and Herb Dean are two legends in MMA. For reasons unknown, they were at a science fiction convention this past weekend. 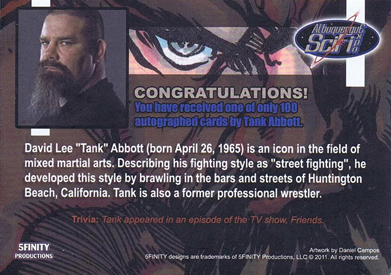 For MMA card collectors, the unlikely appearance led to a trio of exclusive autograph cards. 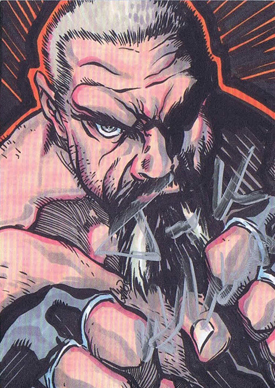 5finity, traditionally an entertainment card manufacturer that produces niche sketch card products, made the cards that were offered at the 2011 Albuquerque SciFi Expo. 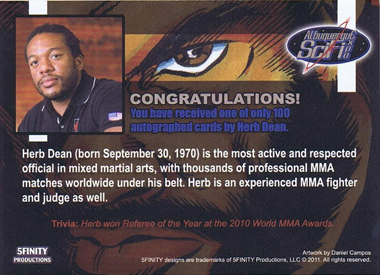 5finity made 100 cards for both Abbott and Dean, which were autographed and sold by the individuals at the show. 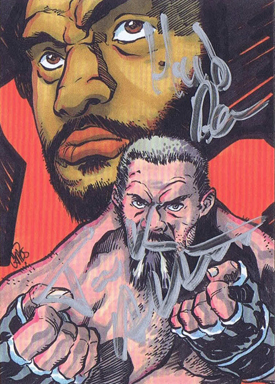 An additional 75 dual autograph cards were made. The fighters got 20 each, while 5finity received the remaining 35. 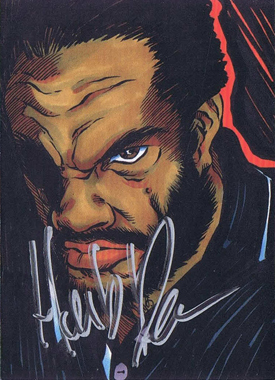 The manufacturer is selling a handful of leftover dual autographs for $15, including delivery. Collectors can order a card by sending payment via Paypal to sales@5finity.com. Although the dual autograph states on the back that 100 were produced, 5finity confirms that just 75 exist.